As use of mobile internet devices such as smartphones and 3G dongles continues to grow, more mobile subscribers want to access high data volume internet applications such as video. This is leading to an unprecedented increase in traffic on the mobile networks. Some experts say it’s doubling every six months and the ITU recently predicted that mobile broadband subscriptions would top 600 million in 2009. 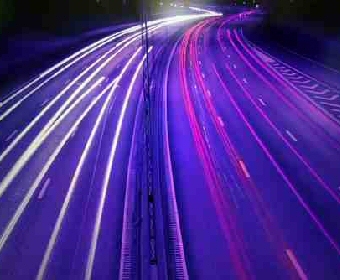 Mobile analyst firm Informa estimates a 25 fold rise in data traffic by 2012. Contrary to popular opinion, upgrading the network to 3.5G HSPA or even 4G technology does not eradicate the problem entirely. It simply puts it off for a while. After all, as any highways authority will tell you, the more lanes you add to the roads, the more vehicles will come along and clog them up. However for those operators that are already marketing mobile data services in order to grab some share from the huge pot, a fix is needed. The good news is that it really is possible to optimise networks to improve the quality of user experience and solve some of the capacity jam problem. In order to achieve this however it is crucial – not to mention complex – to really understand exactly where the network is inefficient. There is a variety as well as volume of data being transmitted over the mobile network– from file sharing and mobile email to mobile video, gaming and podcasting. Operators used to providing simple voice and more basic data services are not yet equipped to measure the broad range of key performance indicators (KPI’s) required in this environment and then to optimise and fine tune. Since the end users’ actual quality of experience (QoE) becomes more important than quality of service – connection times, dropped call rates, latency, and speech quality for example – operators need to add many more KPI’s to their measurement programmes. For instance measuring bandwidth provisioning as well as usage becomes essential. Of course bandwidth usage can vary wildly depending on the type of services and files that are being accessed. A video file will be more intensive than a web page for example. The upstream/downstream bandwidth requirements also need to be taken into consideration since mobile data applications tend to have variable capacity requirements in either direction. The key is to simulate as many possible real-life usage scenarios and protocols as possible – which will help overcome the unpredictability of always-on mobile data applications. For example, a typical measurement sequence might run through FTP file download and upload, HTTP web browsing, end-to-end PING turnaround etc. – mimicking a typical user’s normal activities of sending and receiving emails, uploading and downloading files, browsing web pages such as Facebook, viewing video on YouTube and so on. The focus of the work should be on end-to-end application optimisation on the one hand and on understanding the interworking between the radio access bearer (UMTS, HSDPA) and the core IP network and applications on the other. Deep probing and measurement of mobile networks can help operators optimise them and overcome many of the challenges they face as they role out their mobile data offerings. Provision of multiple mobile data services will only be successful if the quality of the end user experience is not compromised and continuous measurement and fine tuning of the network is an essential part of the puzzle.